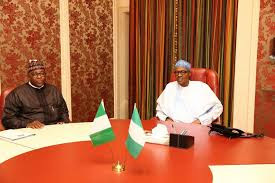 President Muhammadu Buhari yesterday supported Governor Mohammed Abubakar in challenging in court the decision by the Independent National Electoral Commission (INEC) to resume collation of results and dropping the idea of supplementary elections in Bauchi State. Election held in the area, but suspected APC thugs tore the results sheet at the collation centre after seeing the APC had lost, forgetting that the polling results are still intact. But while fielding questions from State House Correspondents after he met with the president in Abuja, the governor declared INEC’s action as illegal. Besides, the Deputy National Publicity Secretary of the ruling All Progressives Congress (APC), Yekini Nabena, has blamed the loss of Bauchi on malfunctioned card readers. Addressing reporters in Abuja, he enjoined the Peoples Democratic Party not to rush into jubilation, as “INEC would be made to offer explanations” for the alleged infractions. 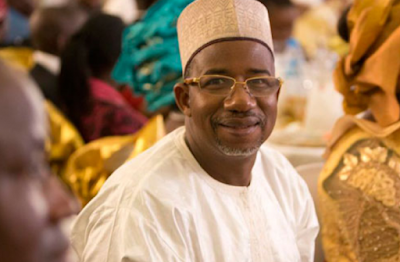 The PDP candidate, Bala Mohammed, is ahead of the APC candidate with over 4,000 votes in the results from 19 of the 20 LGAs, and the PDP also won Tafawa Balewa by polling unit results.